The Winter Teen Dance will take place on Saturday, Feb. 13 from 7 to 9:30 p.m. at the Elks Lodge in San Luis Obispo, Calif. This dance is one way in which we work to provide a safe and friendly environment, void of judgment, for teens of all abilities to forget about their differences and have fun. The Central Coast Autism Spectrum Center (CCASC) invites teens ages 11-18 to its annual Winter Teen Dance. The purpose of this dance is to provide a night of fun for teens with and without special needs to gather in a safe and supportive environment. Volunteers will be present to help everyone feel welcomed and included at the event. 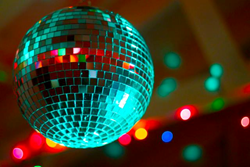 The dance will take place on Saturday, Feb. 13 from 7 to 9:30 p.m. at Elks Lodge, 322 Elks Lane in San Luis Obispo. It will include music, dancing, snacks and a “Chill Room” with quieter activities, including games and arts and crafts. No RSVP is required. A $5 donation is suggested but not required. Teens are invited to attend as participants or volunteers. For more information, to volunteer, or to make a tax-deductible donation, please contact Kim Richards at krichards(at)autismspectrumcenter(dot)com or call 805.458.8063. Thank you to the sponsors who make this event possible: CCASC, Epic Entertainment, SLO Elks Lodge, Tidelands Counseling, and the Center for Autism and Related Disorders (CARD). Many teens with autism spectrum disorder (ASD) experience difficulty with social interactions, including developing and maintaining relationships. The goal of having a community dance is to provide a positive social environment for teens of all abilities to interact, share experiences, and make friends. CCASC is a local non-profit consisting of an all-volunteer board. One of the main focuses of CCASC this year has been increasing the number of social and recreational opportunities in our community. CCASC’s mission is to strengthen quality-of-life for individuals with autism spectrum disorders, and the lives they touch, through compassion, commitment, and collaboration. CCASC hopes to bring together and empower individuals, families, and professionals for the purpose of improving the quality of life of those affected by autism spectrum disorders. In addition to teen dances, CCASC provides a quality summer camp (Camp Expedition), parent groups, family and social groups, young adult activities, and professional outreach. Just as CCASC aims to support families throughout their journey, CCASC will provide support, training, and education for professionals in our communities. For more information, please visit autismspectrumcenter.com. Center for Autism Related Disorders (CARD) is a proud supporter of the upcoming teen dance and looks forward to collaborating with CCASC to provide additional resources to our autism community.